Bringing construction infrastructure projects to completion. Cimarron Construction Company is a family owned business in its 5th Generation of operation. As a fierce leader in heavy/highway construction and underground utility installation, Cimarron operates out of Oklahoma City and completes projects throughout Oklahoma. Cimarron has the leadership, confidence, and expertise, to service all aspects of your construction project, while also continuing to maintain lasting relationships with Municipalities and other Oklahoma businesses. Cimarron Construction Company has been incorporated since 1984, 12 project superintendents having over 340 years of construction experience. Cimarron’s team is equipped with highly skilled managers, Superintendents, foremen, and crew members that are well versed in the complexities and resolutions that work best for the client. Cimarron Construction has numerous solutions for installing or repairing waterlines. Cimarron has full-service Private and Public Storm Sewer capabilities and can assist the client with any aspects of storm sewer needs. Cimarron’s team is equipped and well versed in the complexities and resolutions of Wastewater/Sanitary Sewer infrastructure. Cimarron has the Skilled Personnel and Equipment capability to construct concrete or steel beam vehicular bridges as well as pedestrian bridges. 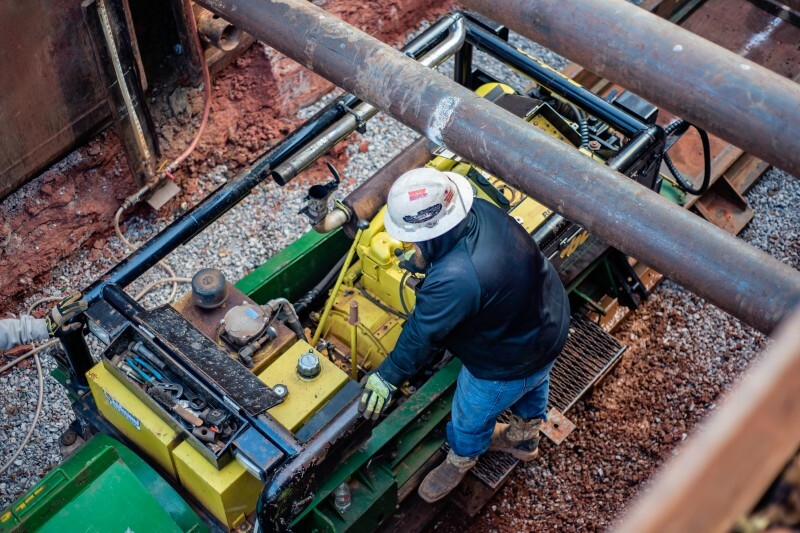 Cimarron Construction Company is able to assist the client with trenchless solutions for construction challenges, large or small. Cimarron Construction Company has the Skilled Personnel and Equipment capability to complete concrete or asphalt paving projects. Fields & Futures serves Oklahoma City Public Schools Athletics in their mission to grow student participation in sports by rebuilding 44 athletic fields, providing resources and development for the district's 250 coaches, and creating new opportunities for students to join a team and benefit from that experience. Cimarron Construction Company has been a key partner in rebuilding these fields. Interested in working at Cimarron Construction Company? Please visit our office between 9 - 3pm to complete an application.